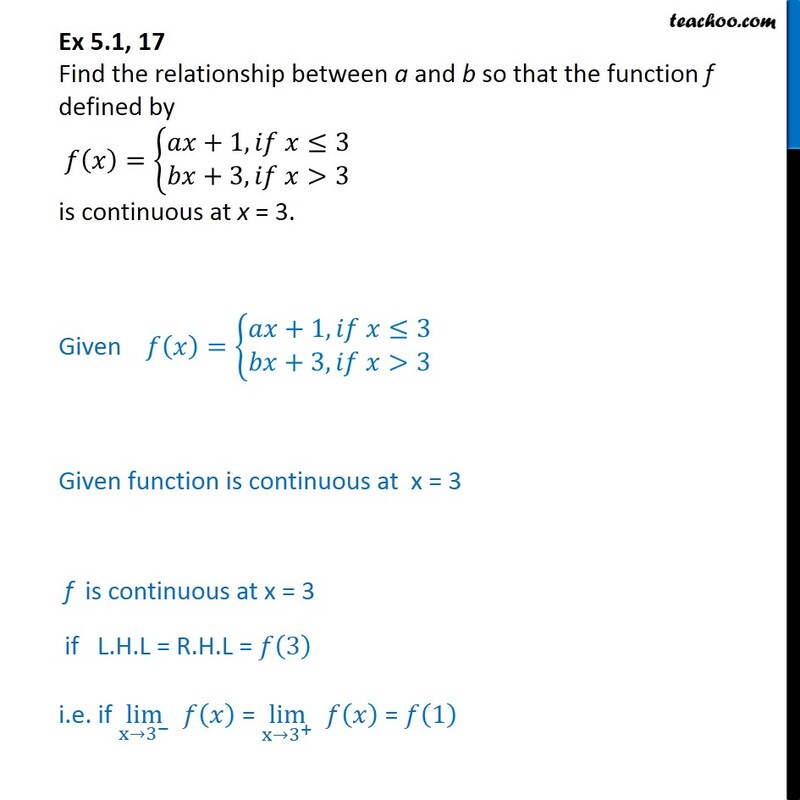 Ex 5.1, 17 Find the relationship between a and b so that the function f defined by = +1, 3 & +3, >3 is continuous at x = 3. 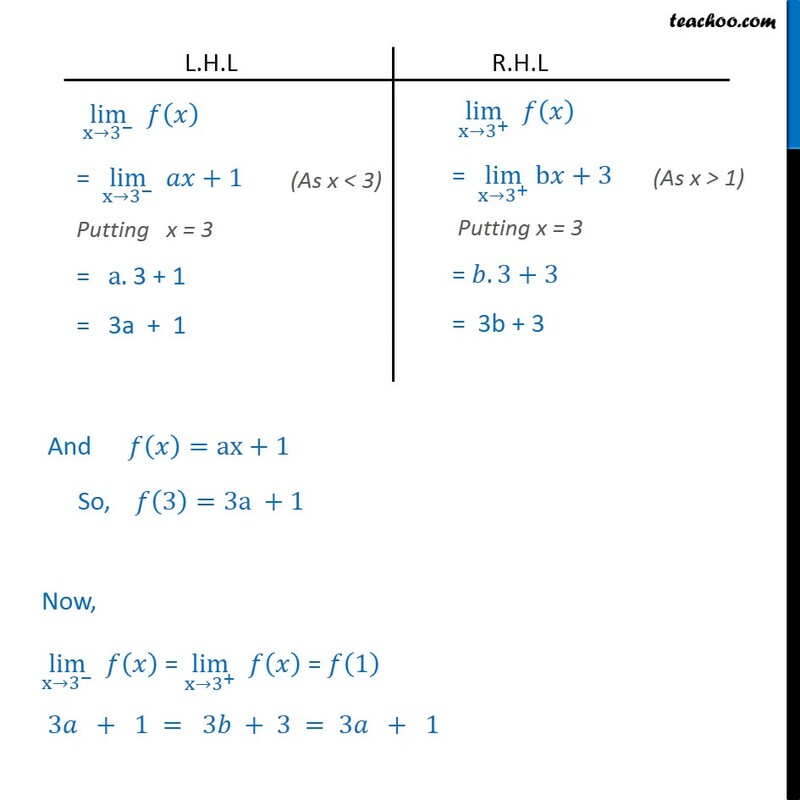 Given = +1, 3 & +3, >3 Given function is continuous at x = 3 f is continuous at x = 3 if L.H.L = R.H.L = 3 i.e. if lim x 3 = lim x 3 + = 1 And =ax+1 So, 3 =3a +1 Now, lim x 3 = lim x 3 + = 1 3 + 1 = 3 + 3 = 3 + 1 3 + 1 = 3 + 3 3 3b=3 1 3 3 =2 3 =2 = 2 3 = + 2 3 Thus , for any arbitrary value of b. We can find value of a.